The cool Winter season chills have started and although Brisbane experiences only a very mild cold season, we all tend to feel it. Unlike most, when the cool season begins I’m not putting away my sweet fragrances, instead I am pulling them out. I love beautiful sweet fragrances in Winter to soften the blacks, greys and nudes that are often on the winter colour pallet. I know smell is not seen, but the mixture of scent and colour can create a perfect balance. 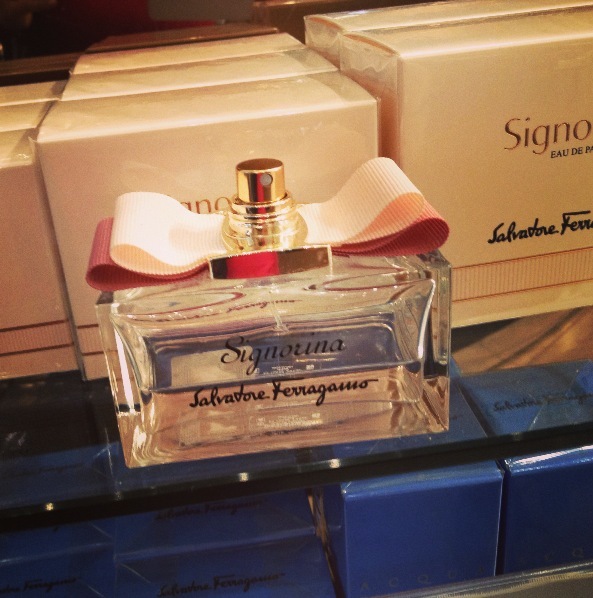 This Winter I am loving Signorina by Salvatore Ferragamo and Oscar by Oscar De La Renta. They are chic, sophisticated with a touch of creativity and fun. This entry was posted in Home and tagged beauty, fashion, fragrances, perfume, sweet, winter on June 17, 2013 by teganjustice.